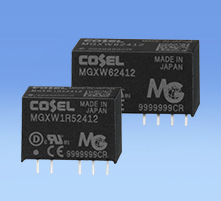 DC-DC Power Supply | COSEL ASIA LTD.
6-20A OK 5YR ･Small size and high efficiency non-isolated DC-DC converter. ･Wide input voltage 3.0V to 14.4V. ･Adjustment of the gain control depending on external capacitor is unnecessary. ･Built-in remote ON/OFF,Power good,Frequency synchronization. ･Built-in overcurrent and thermal protection (auto recovery type) functions. 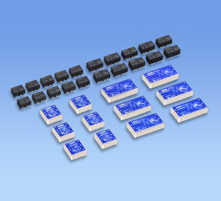 30-100A OK 5YR ･Small size and high efficiency non-isolated DC-DC converter. ･Wide input voltage 4.5V to 14.0V. ･Fast transient response by robust control. ･Built-in remote ON/OFF, Power good, Start-up sequence. 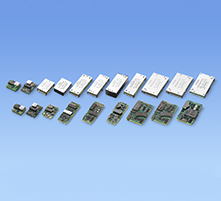 40-100A OK 5YR ･Small size and high efficiency non-isolated DC-DC converter.